In 2017, Robert Smith was appointed Executive Director, Innovative Solutions Canada, Innovation, Science and Economic Development Canada. Prior to that, Robert was director general responsible for Indigenous Programs Operations, Program Operations Branch, Service Canada, from October 2013 to June 2017. 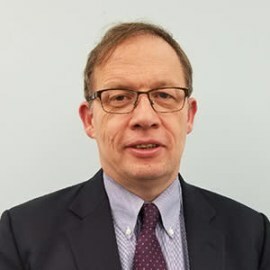 Over the years, he has held a number of other positions including Chief of Staff to the President of Shared Services Canada from August 2011 to October 2013, as well as Senior Advisor to the Senior Associate Deputy Minister (HRSDC) and Chief of Operating Officer, Service Canada from 2009 to 2011.